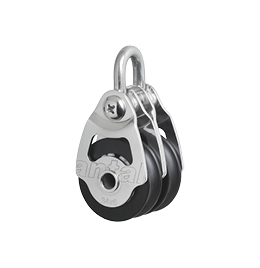 This series offers extremely high working loads (SWL: 34x6 = 400 kg, 40x8 = 500 kg) while still compact and lightweight. 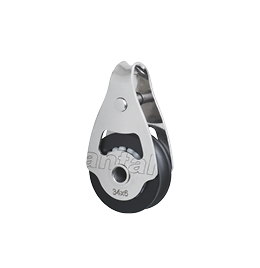 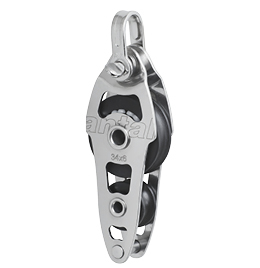 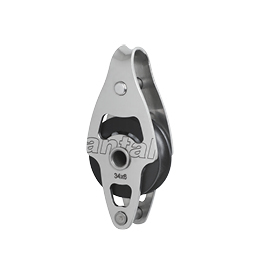 The sheave is made of resin with a double lateral ball-bearing. Cheekplates are made of perfectly polished AISI 316 stainless steel. 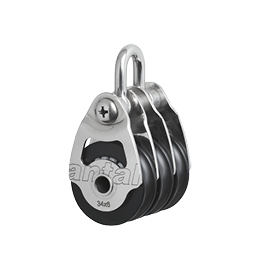 The high quality materials guarantee a maintenance-free product. 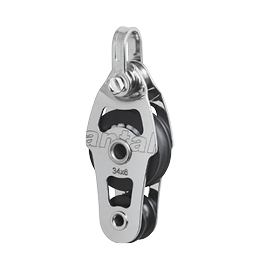 Resin sheave with double self-captive ball bearings. 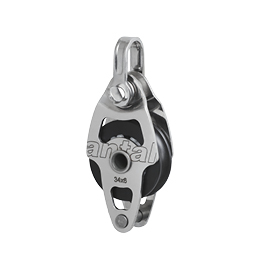 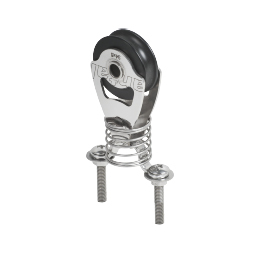 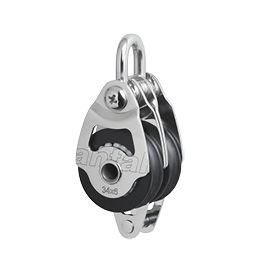 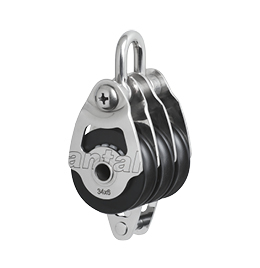 S.steel mini blocks are available with cam cleat (add /C tomodel code) and with swivel head (add /SW to model code).